Zukerman’s plea agreement stipulated to a Sentencing Guidelines range of between 70 to 87 months’ imprisonment and a fine range between $25,000 and $250,000. The district court imposed a sentence of 70 months’ imprisonment, $37 million in restitution, and a $10 million fine. In an earlier summary order, 710 F. App’x 499 (2d Cir. 2018) (covered here), the Court issued a Jacobson remand to allow the district court to explain the $10 million fine. In the more recent decision, the Second Circuit agreed with the district court’s reasoning on every point. Turning to the arguments in favor of substantive unreasonableness, the Court began by stressing the serious nature of tax evasion and the extensiveness of the scheme carried out by Zukerman. It noted that “the district court expressed deserved opprobrium for Zukerman’s ‘calculated scheme to defraud the government of tens of millions of dollars for the sole purpose of increasing his personal wealth,’ executed through efforts that ‘spanned fifteen years and involved submitting more than 50 falsified tax forms for at least ten different individuals.’” Nor was the district court required to conclude that these factors were fully accounted for by Zukerman’s increased offense level. The Court also cited approvingly the district court’s conclusion that Zukerman’s history of criminal conduct—albeit uncharged—and his repeated refusal to “come clean” warranted an above-Guidelines fine. 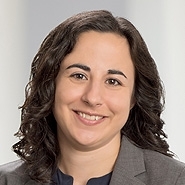 The Court also addressed the concern that a fine so far outside of the Guidelines range could result in unwarranted sentencing disparity, but credited the district court’s conclusion that there were few similarly situated defendants given the scope of Zukerman’s tax evasion. Zukerman cited only one purportedly comparable defendant to the district court, but that case had differing factual circumstances, and resulted in a longer prison sentence to go along with a somewhat lower fine. Moreover, 18 U.S.C. § 3571(d) permits a fine equal to twice the gross loss caused by the offense. Given the $45 million tax loss resulting from Zukerman’s conduct, a much higher fine would have been warranted under the statute. 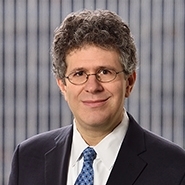 And—while no rule specifically authorizes it—the Second Circuit wrote approvingly of the district court’s consideration of the time gap between the tax loss to the government and the imposition of the restitution award, because to do otherwise would allow Zukerman to profit from his tax evasion. The Court concluded that Zukerman was not being “unfairly punished for his wealth” just because the district court took into account his net worth in determining what level of fine was necessary to deter future misconduct. “A fine can only be an effective deterrent if it is painful to pay, and whether a given dollar amount hurts to cough up depends upon the wealth of the person paying it.” The Guidelines’ instruction to consider the defendant’s ability to pay is not “a one-way ratchet” that can result in lower fines but never an increase. Finally, the Court approved of the district court’s reasoning that the restitution portion of the sentence would be borne by MEZCO, and only the fine would be paid by Zukerman personally. (The Court concluded that Zukerman was being “disingenuous” when he claimed to feel the pain from MEZCO’s restitution payment, since Zukerman also argued that he was totally separate from MEZCO in seeking not have MEZCO’s value count toward his financial position.) Restitution, moreover, serves a different purpose than a fine by “forc[ing] the defendant to confront, in concrete terms, the harm his actions have caused.” A fine is meant to be punitive in light of the other sanctions. A few thoughts on this decision: First, defendants who complain that the district court did not provide a sufficient basis for its sentencing decision sometimes need to be careful what they wish for. Here, the district court provided a supplemental memorandum laying out its explanation, in detail, for the very hefty fine that was imposed. Sometimes an insistence on a written rationale is to the defendant’s benefit: when written out, the rationale does not support the sentence, creating opportunities to challenge the sentence on appeal. But this did not happen here. The longer rationale also gave the district court an opportunity to explain the many reasons why it believed that Zukerman’s conduct was troubling. This made it easier for the Court of Appeals to affirm the sentence as substantively reasonable. Third, despite the rhetoric concerning this specific defendant, the Court also provided some analysis that will be useful to justify below-the-range sentences in future cases. The Court stated that the guidelines relating to tax offenses “drastically vary as to the recommended sentence based simply on the amount of money involved,” and that “a district court may find that even after giving weight to the large or small financial impact, there is a wide variety of culpability amongst defendants and, as a result, impose different sentences.” To the Court, this means that tax sentences “should be reviewed especially deferentially.” One presumes that this will run in both directions—with variances up and down receiving the same level of deference. There are tax cases (and fraud cases too) in which the high dollar amount tends to overstate the relative culpability of the defendant and this decision should be cited to defend downward variances. Finally, the Court seemed willing to accept a fine that was imposed based on the defendant’s wealth. The Court’s discussion of this issue seemed to recognize that wealth is typically not a permitted basis to pick a particular sentence. However, it drew a fine distinction between socioeconomic status and financial resources. The latter is a pertinent consideration in setting the fine. None of this, however, should never be a permitted consideration in setting a term of imprisonment.